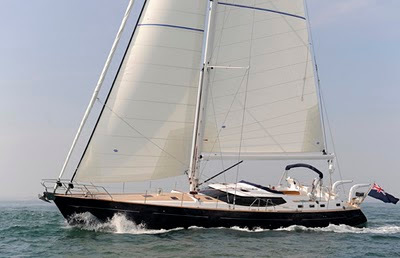 More Magic is a Discovery 67, designed by Ron Holland and launched in 2010. Crewed by a skipper and hostess, More Magic is air-conditioned throughout and has three luxury en suite double cabins - each with flat screen TV and home entertainment system which can play DVDs, CDs and I-Pods. We also have an onboard film and music library for you to choose from. Internet and email access are also available. More Magic is air-conditioned throughout and has three luxury en suite double cabins. The Owners Aft Stateroom has a large walk around double. The Forward Stateroom has a walk around double. The port stateroom has a double bed with a small pullman suitable for a child. Each cabin has a flat screen TV and home entertainment system which can play DVDs, CDs and I-Pods. There is also an onboard film and music library for you to choose from. Internet and email access are also available (at an additional cost). This is a non-smoking vessel. The crew has a separate heads and shower. Click here for more information and Charter availability.